According to PAN-UK, 38 different chemicals were being used in UK towns and cities. They have been linked to an array of health problems including cancer, asthma, birth defects and reproductive issues. Vulnerable groups such as children, pregnant women and old people are most at risk. Pesticides are also having devastating effects on our natural environment. They destroy many of the areas where wildlife such as bees, birds and hedgehogs forage for food and contaminate the natural resources they depend upon, including water. Recent polling revealed that more than two-thirds of UK citizens want their local schools, parks, playgrounds and other open spaces to be pesticide-free. 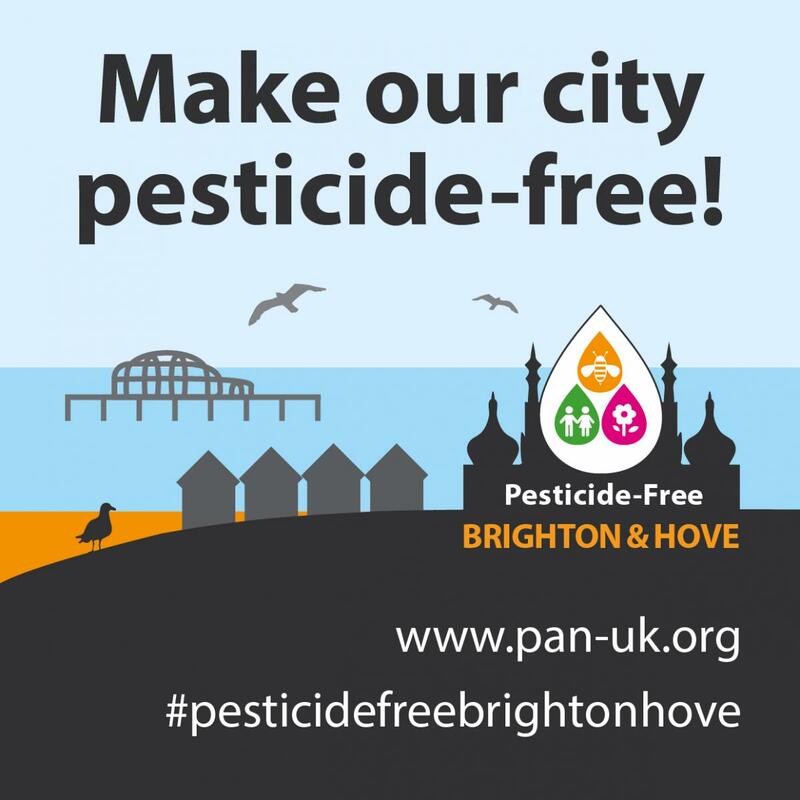 Since 2015, many UK councils have taken action to ban or severely restrict urban pesticide use, including Bristol, Lewes District and parts of London. France banned pesticides from all of its towns and cities in 2017. There are a range of non-chemical approaches designed to replace pesticides, from high-tech solutions such as hot foam systems which kill plants using heat, to manual techniques like hand weeding and mulching. People who live, work, or study in Brighton & Hove can get involved in the campaign by sending an email to election candidates from the PAN UK website, or by signing one of the campaign postcards that can be found in venues across the city.